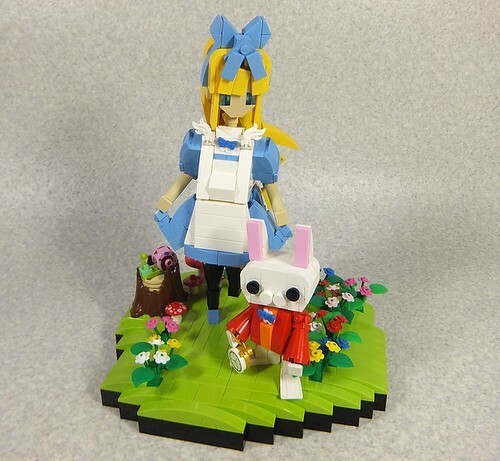 Flickr user Moko delivers again with this awesome MOC of Alice and the white rabbit in wonderland. It's a great little anime take on a classic, and it's fantastic. Check out the details on Alice, and the rabbit's pocket watch, excellent.